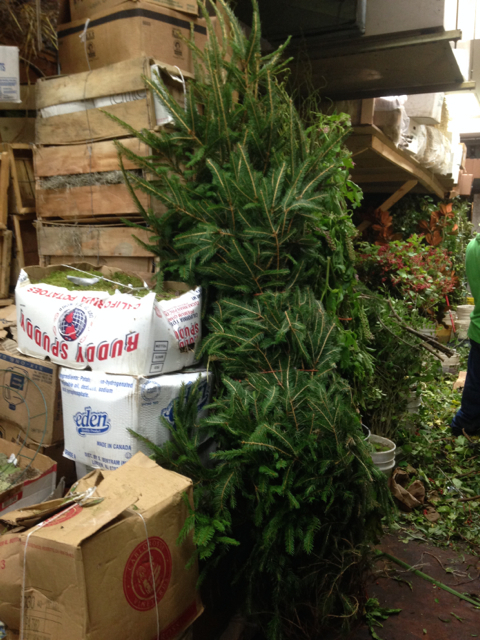 We wanted to find a fresh Christmas Tree in Manhattan in the middle of August. It sounded crazy but I thought we could do it, I mean in NYC anything is possible right? So we headed to where I went many times during set decorating: Manhattan's wholesale Floral District. We walked into Ev ergreen on 6th Avenue, asked if they had a Christmas tree and this was just sitting there waiting for us. I was so proud of finding a live spruce Christmas tree in the middle of August. You can see the tree all decorated in the spirit of Christmas here.